This biweekly challenge was a Color Challenge! 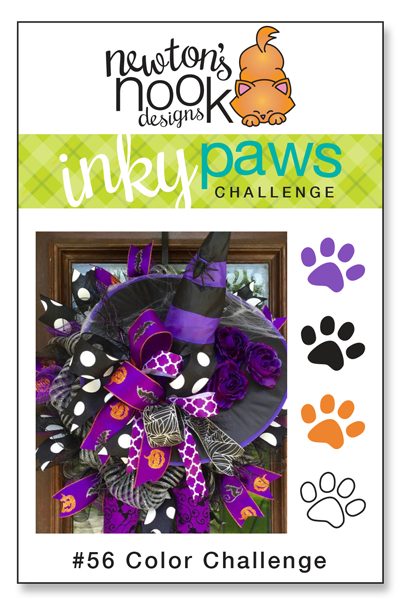 Inky Paws Challenge #56 Winner! Stamping Kitty showcases Falling into Autumn beautifully. The white embossed leaves are so striking against the water-colored background. 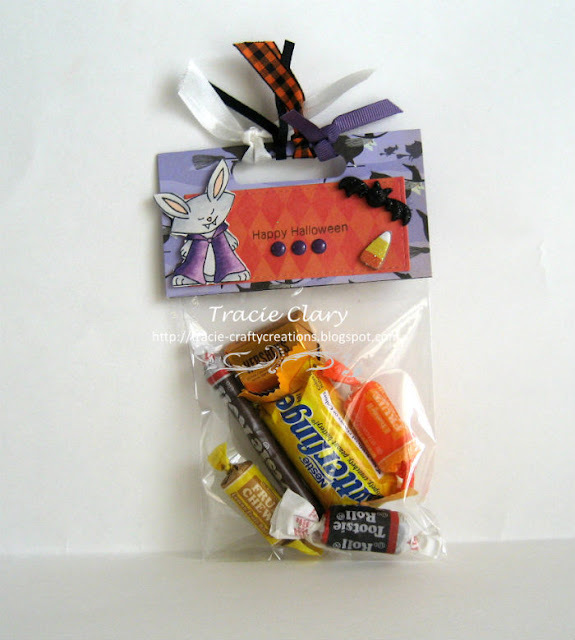 Tracie C.'s goodies bag is sure to be a hit with the trick-or-treaters! Her spectacular coloring of the Boo Crew critters is spook-tacular! Beverly Y's use of the colors using Newton Rides West is so creative and fun! 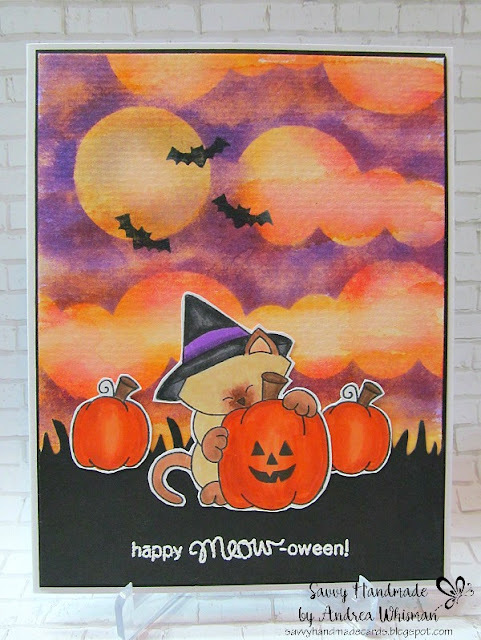 Andrea's spooky sky using Sky Border Dies is just purr-fect for Halloween as is her darling kitty peeking from behind that Jack-o-lantern from Newton's Perfect Pumpkin! Jennifer M. creatively stretches her Newton's Nook Designs supplies by adding a witch hat to Newton's Holiday Mischief. I just love the purple and orange scarf and the fabulous layout! Trina's pumpkin patch has such a spooky background, especially with those cute little black bats! What a fabulous scene using Newton's Boo-tiful Night! Oh my goodness, all of the submissions were eye candy! Gorgeous work everyone.